The District government has filed to take control of the remaining two acres at the Buzzard Point soccer stadium site owned by Akridge using eminent domain. According to the agreement between DC United and the District, today was the deadline for the District to gain control of the land needed for the stadium. The District came to an agreement over the other parcels in the stadium footprint at 2nd and R streets several months ago, but the lone holdout was Akridge’s parcel. 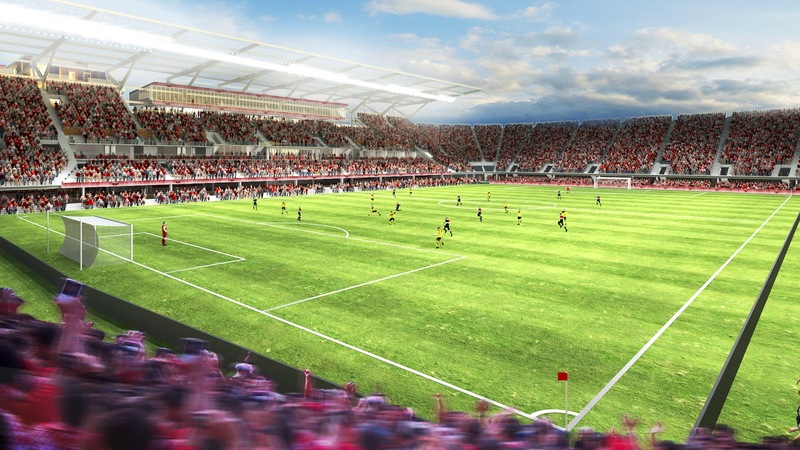 “The District of Columbia and D.C. United are moving forward on a soccer stadium that will transform a neighborhood on the banks of the Anacostia and generate hundreds of new jobs for District residents. 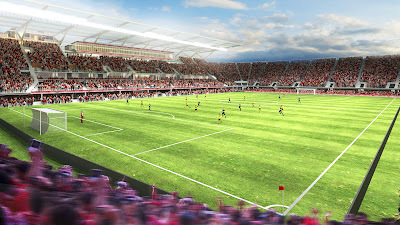 We have created the best deal for the District, its residents, D.C. United and its fans." This is not the first time the District has used eminent domain in order to build a stadium. 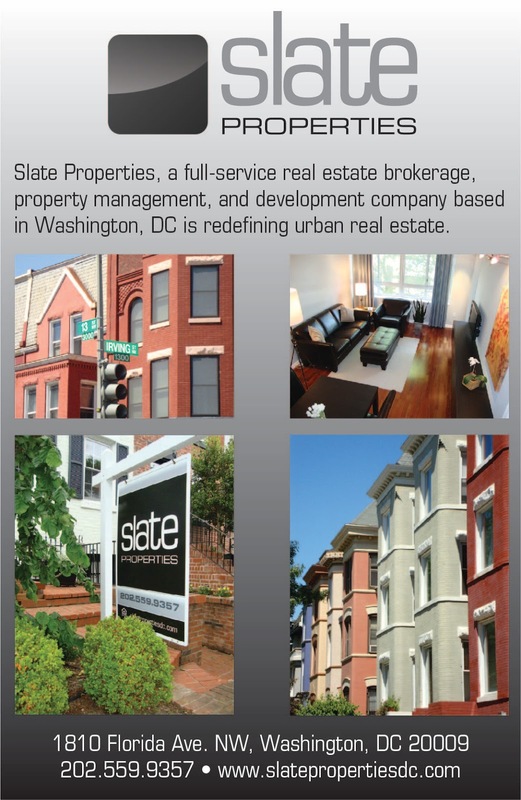 The same tactic was used when Nationals Park was built on the other side of South Capitol Street. The 20-25,000-seat stadium is scheduled to open in time for the 2018 season. The next retailer to open shop at Waterfront Station will be Enterprise Rent-A-Car. 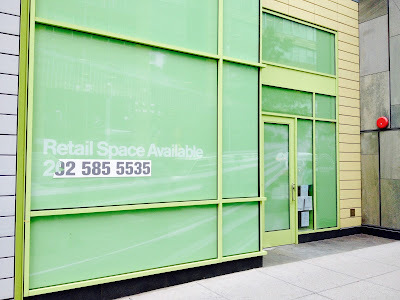 There are permits stuck to the window of the vacant retail space on 1100 4th Street next to CVS (Thanks for the scoop Rafael!) The nearest Enterprise is located at L'Enfant Plaza on D Street. 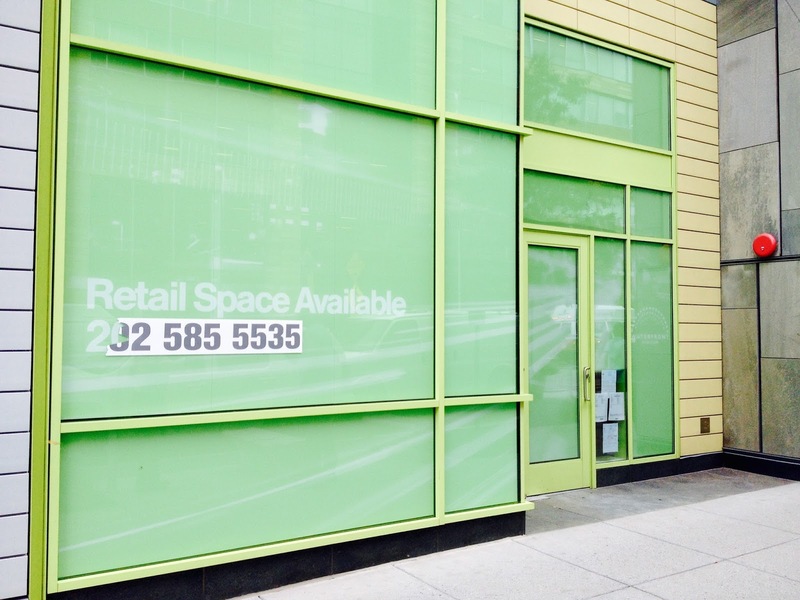 With this retail space now soon to be occupied, this leaves one vacant space along 4th Street left to lease. It has taken longer than expected to fill the remaining retail space – the first phase of Waterfront Station opened in 2010. Another 5,000 SF of retail will be available next fall when Eliot on 4th (the new name of the apartment building under construction north of Masala Art at 1001 4th Street) is completed. 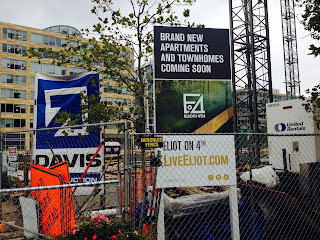 Construction at Eliot on 4th is now close to reaching street level. 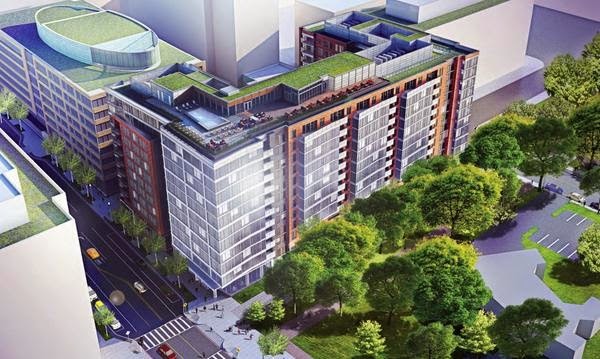 The rooftop bar planned for the rooftop of the new Hyatt Place Washington DC/National Mall has been named City Bar, according to an article in the Washington Business Journal. Back in August, I took a hard hat tour of the under-construction hotel, which is scheduled to open in November. City Bar will have a menu separate from the hotel's restaurant on the third floor. It will be open seasonally from 8am until 2am during the week and 3am on the weekends. The operators of Hyatt Place say City Bar will be a unique destination in the District that will be unlike the POV at the W Hotel or Donovan House. They have been looking at rooftop bar concepts from across the country for inspiration and expect to have great food and cocktails. This kind of rooftop bar is the first for the Hyatt Place brand. City Bar have capacity for 100 people. PN Hoffman with AHC Inc, Paramount Development, E.R. Bacon Development and CityPartners. MRP Realty's proposed building, looking southeast on 4th Street. First up was MRP, which highlighted their commitment to a larger share of affordable housing units than the 30% mandated by new legislation for District-owned land dispositions. Their proposal calls for an 11-story LEED-Silver building designed by MV+A with 421 rental apartment units and 9,000 SF of ground floor retail. Of the 421 units, 168 (or 40%) are affordable – 31 units at up to 30% of Area Median Income (AMI), 95 units at up to 50% of AMI, and 42 units at up to 80% of AMI. In addition, 5% of the affordable units will be designated Permanent Supportive Housing in an effort to get homeless people off the streets. The retail space will be along 4th Street with the main entrance to the building at the corner of 4th Street and a new private drive at the north end of the site. Some target tenants for the retail space include a hardware store, bank, arts space, or other uses currently lacking in the neighborhood. Other commitments include a $175,000 community improvement grant, job training program through HOU, hiring only DC residents for all permanent jobs, and 50% of all contracts going to CBEs. Republic Properties' proposed building, looking southeast on 4th Street. The second team to present was Republic Properties, which decided not to build up to the maximum square footage permitted on the site. 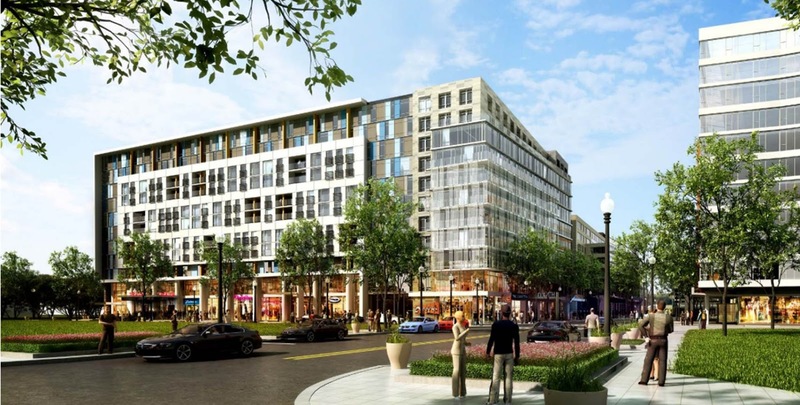 Republic’s proposal includes 378 rental apartment units in a LEED-Silver building designed by WDG Architecture and 8,000 SF of retail. Two-story walk-out duplex units with 2BRs designed for families would be built along the new private drive and the northern portion of Wesley Place. Of the 30% set aside as affordable housing, half would be for up to 30% of AMI and the other half for up to 60% of AMI. These affordability levels are not in line with the recently passed DC Council legislation, so Steve Grigg of Republic stated those percentages will change. The courtyard space on the ground floor of the building could potentially be used by the community for events such as movie screenings while the rooftop space with a pool, jogging trail, and BBQ grills would be reserved for building residents. Along the private drive, the developer would allow neighboring Christ United Methodist Church to use the space to park cars on Sundays. 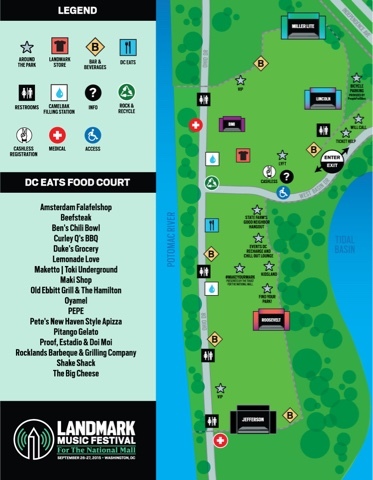 In addition, the area could be blocked off on Saturdays for a farmers market or other events. Retail will be along 4th Street with four storefronts at 2,000 SF each. These spaces have been designed for use by community-oriented retailers such as a bike shop, yoga studio, pet supply store, plant/flower shop, or gift/stationery shop. This proposal has the highest parking ratio, with 258 parking spaces, bike racks, Zipcar spaces, and electric car charging stations. A total of 320 construction jobs will be created and 40 permanent jobs – 50% of all jobs will be filled by DC residents. The development team will also work with the Office of Apprenticeship Programs and the DC Apprenticeship Council for job training opportunities for residents. PN Hoffman's proposed building, looking southeast on 4th Street. PN Hoffman’s presentation was unique in that the amount of proposed retail space was more than double the amount proposed by the other teams and prospective retail tenants were announced. 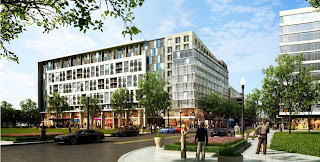 The development plan includes 443 rental apartment units, 22,500 SF of community-oriented retail, and a 10,000 SF, 200-seat black box theater, all in a LEED-Gold building designed by Torti Gallas. The 133 units of affordable housing includes 34 units at up to 30% of AMI and 99 units at up to 50% of AMI. Retail would be located on 4th Street, wrapping around to the new private drive. A letter of intent has been signed by Constantine Stavropoulous, the owner of Tryst, Open City, The Diner, and The Coupe to open a diner at the corner of 4th Street and the private drive. Other retail uses such as a daycare center and artist space could be located on the north side of the development along the private drive, which serves as a connector between the Southwest Library branch and the SW Duck Pond. 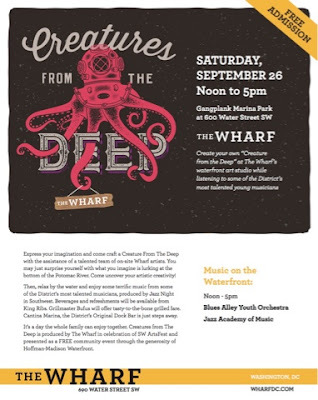 The private drive could be closed off at times for arts-focused events. Forum Theatre would make the return to the District from its current location in Silver Spring to operate the black box theater, which began 12 years ago on H Street NE. The theater would be located on the south side of the site below the courtyard, which would allow the theater space to be without columns. The PN Hoffman team would use the model they implemented to engage the community during The Wharf’s development process with a community benefits group and a construction issues group. During the question and answer period, it was mentioned that a hardware store was not considered by the development team for this project because they are in negotiations to bring one to The Wharf along Maine Avenue. The public comment period will be open through October 9. For more information on the proposals, the slideshow presentations from last night’s meeting can be found here. 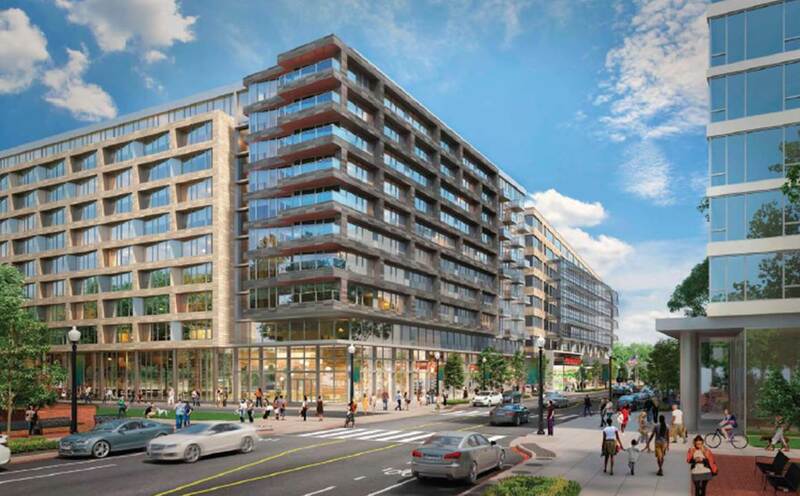 Comments can be sent to Marc Bleyer from DMPED, the project director for the Waterfront Station parcel at marc.bleyer@dc.gov. Bleyer will be at a future ANC 6D meeting to take questions from the commissioners and hear their input on a preferred proposal. A decision will likely be made by DMPED by November. Which proposal do you like best? Vote for your favorite using the poll on the left side of the blog home page and/or leave a comment. 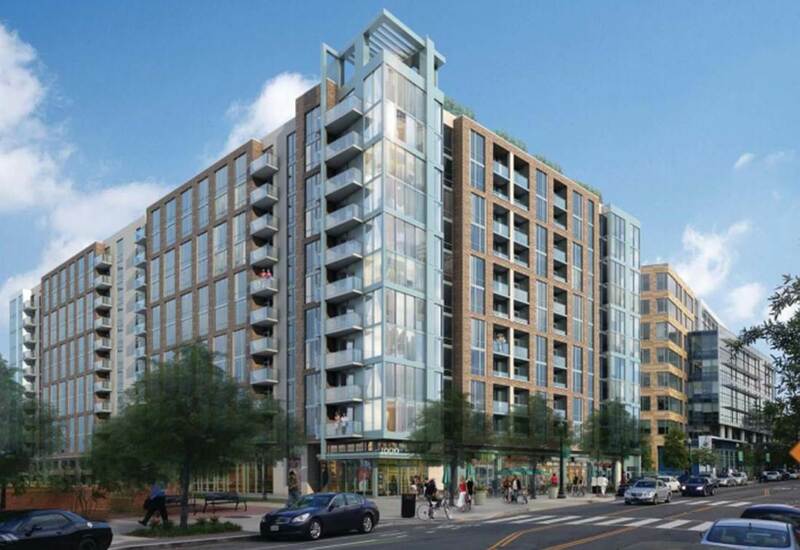 On Saturday morning, there will be a charrette to discuss the redevelopment of Greenleaf. At this meeting, the public will learn about the latest news regarding the redevelopment of the sprawling public housing complex, which includes the Greenleaf seniors building and mid-rise building on the south side of M Street and Greenleaf Gardens Extension on the north side of M Street. In addition, participants will work with planners to draft the project guidelines of the redevelopment. Back in 2013, DCHA applied for (but did not receive) a $500,000 HUD Choice Neighborhoods Planning Grant to help plan for the redevelopment of Greenleaf. Despite the setback, DCHA is moving forward with planning since the Greenleaf buildings are more than 50 years old and are near the end of their useful lifespan. 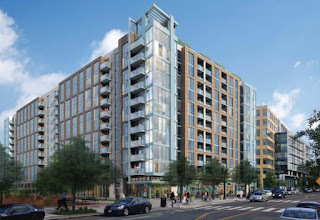 Since then, DCHA hired HR&A Advisors and other firms to develop a feasible redevelopment plan for Greenleaf, which will be completed by the end of 2015. Once the plan is adopted, then DCHA will work with a private developer to bring the plan for a mixed income community to fruition. 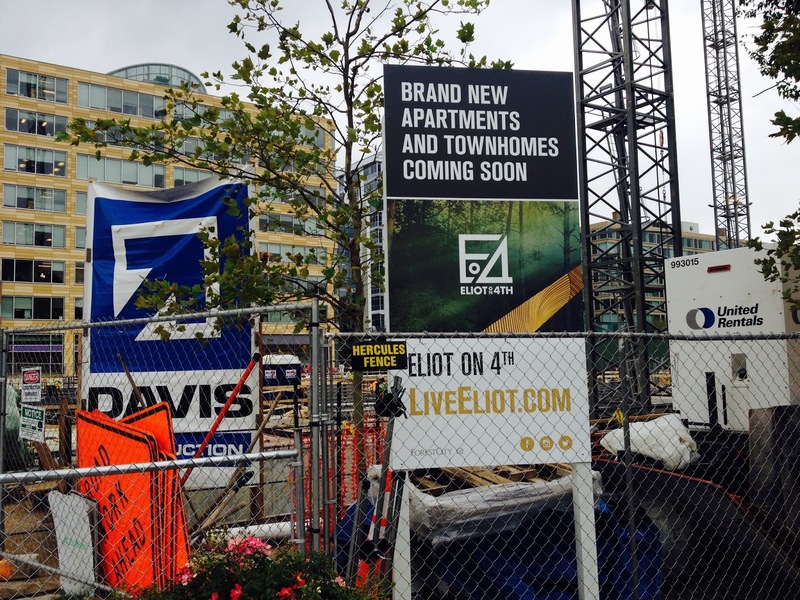 Back in 2013, there was a five-year timeline to redevelop Greenleaf, but that was before DCHA did not receive the HUD grant, which delayed the process. The charrette will be held at the Southwest Family Enhancement Center at 203 N Street from 10am to 12pm.